As the home of SWOSU and residents who support the city and school, Weatherford has evolved with the times. The largest city in Custer County, adapting to conditions since its founding, might just as well be named Weathered-ford because it has endured many economic and cultural fluctuations in its 127 years. In 1901, Weatherford beat out other towns to land what would eventually become Southwestern Oklahoma State University, in part because it was moving away from its “wild and wooly” past, as the Oklahoma Historical Society called it. In 2011, after Imation closed a 42-year-old paper plant, many feared the loss of 100 jobs from the economy, but Weatherford bounced back. Justin O’Connor, general manager of Lucille’s Roadhouse, notes how the east side of town is booming. He cites a business park that is sold out after being desolate several years ago. In similar fashion, Weatherford and Southwestern have grown together and would not be the same without each other, says Brian Adler, the school’s vice president of public relations and marketing. 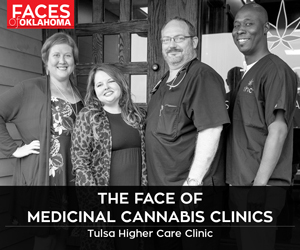 Head east from Weatherford on the hourlong drive to the Capitol and you quickly get into the exo-burbs of Oklahoma City – Hinton, El Reno and Yukon. Head toward the Texas Panhandle, an hour west, and you see towns typical of Route 66 in the 1950s – namely Clinton, Elk City and Sayre. Native son Thomas Stafford, part of NASA’s Apollo and Gemini programs, is 88. 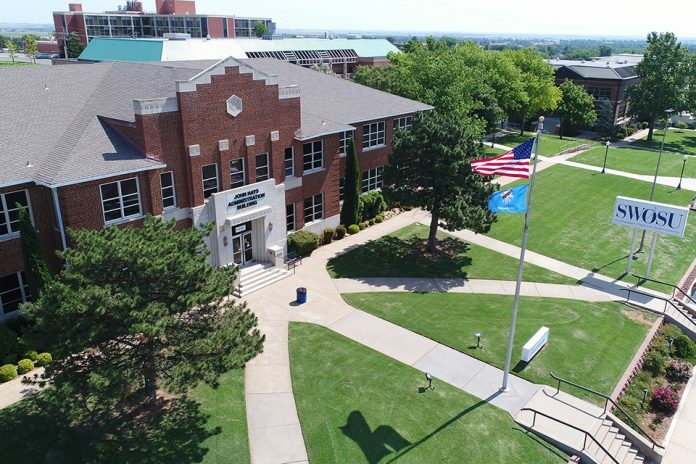 The city’s airport and impressive aerospace museum, along with an administration building at SWOSU, are named in his honor. Outside of town on 5,000 acres, NetEra Energy Resources runs 98 wind turbines; each produces about 1.5 megawatts of electricity, or enough to power about 34,000 homes annually. In town, an actual blade – 122 feet long – lies horizontally across from City Hall at the Weatherford Wind Energy Center. “SWOSU is the catalyst for the town,” says Adler, adding that Weatherford businesses and residents regularly provide students with everything from tuition assistance to comfort in times of crisis – with the Parents Day scholarship drawings and the Bulldog Angels Fund as examples. SWOSU – the acronym is pronounced swah-soo by locals – is also home of the Pioneer Cellular Event Center, a $24 million facility, one-third of which was paid by a penny sales tax increase approved by Weatherford voters in 2010. Adler says such an investment cements the city-university relationship. “Our mayor and economic development director even sit on the advisory council for the event center,” he says. Apropos of the cultural connectedness between the city and SWOSU was the recent New Works Festival. Produced by the school’s drama department for students and the public, the show was the culmination of Professor Steve Strickler’s Introduction to Playwriting class. Each student wrote a 10-minute play, then stepped back to see what happened with the creation at the festival.